September is World Alzheimer’s Month with World Alzheimer’s Day taking place on 21 September. 2017 will mark the fifth World Alzheimer’s Month, which aims to raise awareness and challenge the stigma and misinformation that surrounds this illness. Currently, it’s believed that around 50 million people worldwide are living with dementia. Unfortunately, this figure is only predicted to rise alongside a growing population and an inevitable increase in life expectancy. In fact, it is expected that over 131 million people worldwide will be living with dementia by 2050. With so many people currently living with dementia, it’s surprising that this is a topic that is rarely spoken about. Campaigners believe that this is down to people’s lack of knowledge. 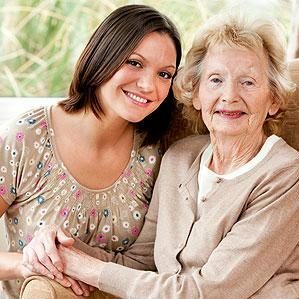 So, with that in mind, we’ve decided to answer the most common questions surrounding Alzheimer’s disease and dementia. What’s the difference between Alzheimer’s, dementia and just getting old? Many people are unable to define Alzheimer’s disease or establish the difference between it and dementia. In fact, Alzheimer’s Disease International state that two out of three people globally have little to no understanding about Alzheimer’s disease and dementia in their country. The most common misconception is that it’s just about having poor memory. Of course, every one of us is forgetful from time to time. How often have you forgotten where you put your keys, or walked into a room looking for something, only to forget what it was? As our bodies and brains age, our memory is bound to be less sharp than it was when we were in our 20s. Nevertheless, contrary to what some people believe, Alzheimer’s disease is not a normal part of the aging process. So, when is it time to stop blaming it on ‘old age’ and contemplate whether it’s something more serious? If memory loss and mental ability become so severe that they start to interfere with daily life, then it could be a sign of Alzheimer’s disease or dementia. But, what’s the difference, and how do they affect more than memory? Alzheimer’s disease is the most common cause of dementia. It is a progressive, physical disease that directly affects the brain, leading to the eventual death of nerve cells and loss of brain tissue. Dementia is a set of symptoms, rather than a disease. These symptoms can include memory loss and trouble with language, thinking or problem-solving. They can occur when the brain is damaged by a disease, such as Alzheimer’s. There are four common types of dementia: Alzheimer’s disease, vascular dementia, frontotemporal dementia (FTD) and dementia with Lewy bodies (DLB). Both dementia and Alzheimer’s disease are diagnosed all over the world and do not discriminate against gender, ethnicity, social or economic circumstance, nor age. However, they are most likely to affect the elderly. Dementia develops in approximately one person in every 1,000 up to the age of 65. This sharply rises to one person in every fourteen over the age of 65. Over the age of 80, the chance of having the condition rises significantly to one in six. Unfortunately, no one has been able to definitively declare what causes Alzheimer’s or dementia. In some cases, abnormal genetics have proven to be the cause of Alzheimer’s disease, due to an inherited mutation in one gene. However, this has typically been found to cause ‘early onset’ Alzheimer’s disease, which affects people under the age of 65. Nevertheless, genes are believed to contribute to someone’s susceptibility to the disease. For example, those with a close family member who suffers from Alzheimer’s disease is three times more likely to develop the disease themselves than someone of a similar age who has no family history of the disease. In cases like this, it is believed that genetics may play a part, but are not necessarily the direct cause. Nor does it mean that dementia is irrefutably inevitable. Alzheimer’s and dementia affect everyone differently, with symptoms varying between Alzheimer’s disease and other forms of dementia. However, there are similarities between them all, with a sudden change in memory being the most common early symptom. Both Alzheimer’s disease and dementia affect the short-term memory in their initial stages. Of course, that’s not to say that if you forget where you put your wallet, you’ve got dementia. Rather, someone with early stages of Alzheimer’s or dementia will be perfectly able to recall a childhood memory, but struggle to remember what they ate for breakfast that day, or if they even had breakfast at all. If you spot any of these warning signs in yourself, or someone you love, then you should talk to your local doctor. An early diagnosis can help in enabling those with dementia and their carers to be better equipped to handle the disease’s progression. Because Alzheimer disease and dementia are both progressive, it does mean that symptoms worsen over time. Late stages of Alzheimer’s disease can see people unable to speak or interact with their surroundings in any way. Many people with late stage dementia require round-the-clock care and cannot walk or sit. They can also become more susceptible to catching infections, such as pneumonia. Is there a cure for Alzheimer’s disease? Unfortunately, doctors and medical experts are yet to find a cure for Alzheimer’s disease or dementia. However, it is believed that the progression of the disease can sometimes be slowed down, while some symptoms can even be treated. For example, medication can be administered to tackle symptoms such as agitation or sleeplessness. Other treatments are believed to slow down the progression of the disease for some patients for between 6 and 18 months. Not enough is currently known about what causes Alzheimer’s disease to recommend any specific preventative measures. Even though it is recognised that Alzheimer’s disease is common with increasing age, it is not known what triggers the brain tissue to change.